On 8th November 2012, after a long and anxiety-inducing day at Coventry University Hospital, I dashed into a Tesco store close to home and purchased a much longed-for copy of Wolf Hall by Hilary Mantel. This book had been on my mind to read some goodly while but somehow, events had conspired to take me further from my desire. It was a rather late and desperate dash at the end of a wearisome few days. On 9th November, at 7.30 am, I entered Warwick Hospital for day surgery, a wide local excision for breast cancer, together with a biopsy of my sentinel lymph node. I have not had much awareness of my lymph nodes, prior to that time, but somehow, they seemed most precious to me that day. The days following surgery remain in my mind as a very strange and surreal time. 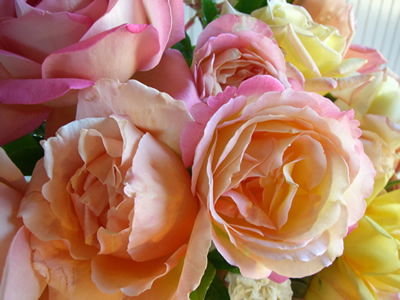 I recall still and strongly the scent and beauty of the flowers that gradually filled my house from friends and family; the glow of the coal fire lit daily, mid-afternoon, that smoked occasionally as the wind blew; and the good humour and support of my son who cared for me in those first few days. But, most significant and unexpected are memories that hold me in their grip, of the time I spent in those fragile convalescent days, reading and being utterly mesmerised by Thomas Cromwell and Hilary Mantel’s bewitching novel, Wolf Hall. Goodness, but I have been a slave to the pages of Wolf Hall. Daily would I desire time to pass quickly so that my treat, my little moment of perfect satisfaction, would come sooner – three o’clock, time for tea, a biscuit, a blanket pulled over my lap and Wolf Hall. Nothing could be allowed to disturb this time of bliss, until the afternoon had merged into evening and Radio 4 had announced six o’clock with the striking of Big Ben. Rarely have I been so brazen in my reading habits – aside holidays and the occasional weekend. To read in the day time, to absolve myself of all other tasks or responsibilities, has been an absolute joy. Despite these anxious times, my dread of the outcomes of surgery, my aches pains and moments of quiet despair, Wolf Hall became my solace, my comfort day and night, my constant companion, my consolation. I owe the greatest debt of gratitude to Hilary Mantel and the unwitting part she has played in my recovery from surgery, in turning around days that I thought would be filled with misery, into days that seem to be remarkable in their serenity. 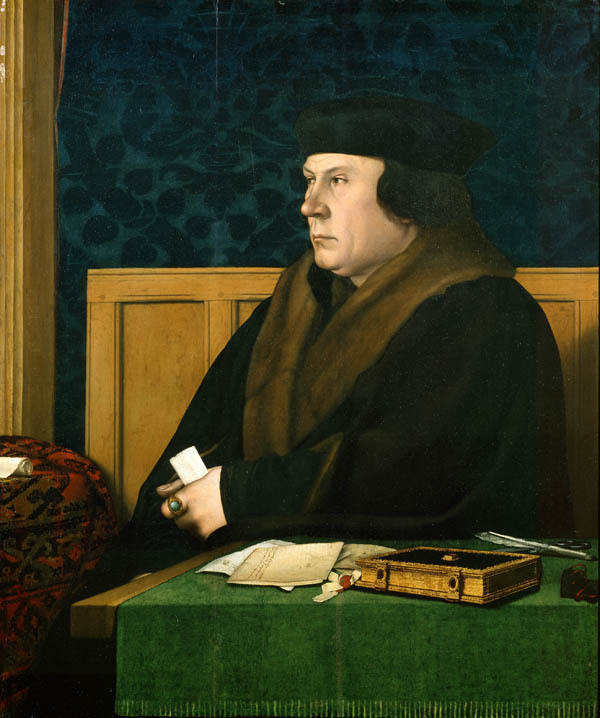 Of course, still there was the need for pain management and daily care, but that seemed an irrelevance – what I discovered, in those quiet, home-bound days, was a love of Thomas Cromwell, the Master Cremuel of Mantel’s creation. Once, driving through Lichfield on a Summer’s day, with my window open, I caught the scent of roses in the breeze from a nearby row of houses. I could not determine easily which property the scent came from, but it lingered in the air and filled me instantly with a sense of great sadness and nostalgia. It moved me so much, I struggled to understand what had prompted such emotion. As I drove on, I thought of my childhood, and Sunday visits to my grandparents, now long since passed away, and playing in my grandmother’s garden as my grandfather tended the roses that bordered the lawn. The scent that caught my senses that Summer’s day was one and the same, bringing forth that well of rememberance for times past. I imagine one day, I will be biding my time, a little older, wiser maybe, when the combination of fresh cut flowers and a smoking fire may set off some myriad associations in my mind, and Wolf Hall, and Thomas Cromwell, will flood back into my life, as fresh as if it were 10th – 15th November 2012. My mother was faithful to my Christmas wish list and Bring Up The Bodies duly arrived on Christmas Day, but I have been reluctant to disturb its secrets. In despair at reaching the end of Wolf Hall, I began the book again. It enchants me no less now, that at my first reading. 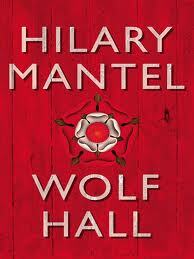 I cannot permit myself to begin Bring Up The Bodies until I have reached the end again, of Wolf Hall. On 9th January, I began chemotherapy as the next stage in my treatment programme. My promise to myself had been the joy of beginning Bring Up The Bodies, but still, as I arrived home, a little sorrowful and out of sorts, it was Wolf Hall that accompanied me and carried me through the day. As I mentally prepare myself for my next chemotherapy session, I have set out my afternoon to include the opening of Bring Up The Bodies. I can think of no better way to shake off the gloom of hospitals and drips and canulas and FEC chemotherapy, than immersing myself in a world Hilary Mantel has brought so vividly, so brilliantly to life through the eyes of Thomas Cromwell. ‘Now, here, before we go to Winchester, we have time to spare, and what I think is, Rafe, we shall visit the Seymours.’ He writes it down. Early September. Five days. Wolf Hall.